Boys were 0 for 2 on road trip to L.A.
COMMENTARY – After only half a dozen games or so, the Pac-12 has already evolved into the haves and have-nots (not unlike Dr. Seuss’ Star-Belly Sneetches and Plain-Belly Sneetches). Half the league is .500 or better in conference play, and half the league is not. Unfortunately, the Runnin’ Utes are currently on the wrong side of the class division line. Lest I be accused of being Chicken Little claiming that the sky is falling, admittedly, we are only a third of the way through the conference schedule and there is still a lot of basketball left to play. Let’s take a look at what the remainder of the conference schedule has to offer. After playing four games on the road in the first third of conference play, Utah gets an even split of three road games and three home games in the middle of the schedule, and then ends with four out of six at home (including three straight home games to end the regular season). In the next six games coming up, the Runnin’ Utes have an opportunity to prove themselves against four teams they have yet to play — Washington, Washington State, Colorado, and Stanford. Utah has another home stand this week, hosting the Washington schools before going on the road against the Arizona schools. In order to remain relevant in conference play, the Runnin’ Utes need to win on their home court this week against both the Huskies and the Cougars. According to the pre-season media poll (which is the functional equivalent of blindfolded sports writers trying to pin the tail on the donkey), Utah should be significantly better than both Washington and Washington State. We’re about to find out if that is true. The Huskies are the next team up with an 8 p.m. tip on The Hill on Thursday. Eight is a lucky number in Chinese culture. Let’s hope all of those eights for Thursday’s game (8 p.m. tip, Jan. 18, 2018) translate into some much-needed luck for the Runnin’ Utes. Two of Washington’s three conference wins have come at the expense of Washington State and California, who both currently reside in the conference cellar with identical 1-4 records. 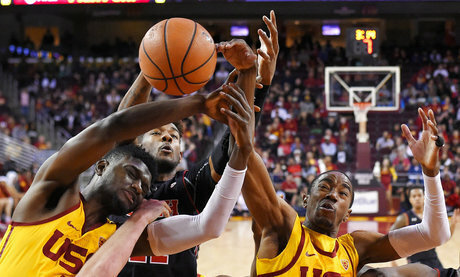 The other win was against USC on the road, a feat Utah failed to accomplish. With two very winnable games at home, this week will be a good barometer of the Runnin’ Utes’ resiliency. Are they going to hang their heads and give up after their early season struggles, or will they keep working hard and win the games they are supposed to win? I sincerely hope it is the latter. Meanwhile, the Red Rocks continue to perform at an elite level. Yesterday, Utah was part of a quad-meet in Reno, Nevada, that also included conference-favorite UCLA, as well as Washington and Stanford. In a close meet, the No. 2-ranked Red Rocks placed second to the Bruins. Utah dominated the floor and vault (top team score on both events), was solid on bars, but ultimately could not overcome a relatively poor showing on the beam. The Red Rocks are currently ranked No. 1 on both the floor and the vault, No. 3 on bars, and a distant No. 18 on the beam. If they can shore up their beam routines, this is going to be a very difficult squad to beat in any meet, including Nationals (as premature as it is to even consider this early in the season). 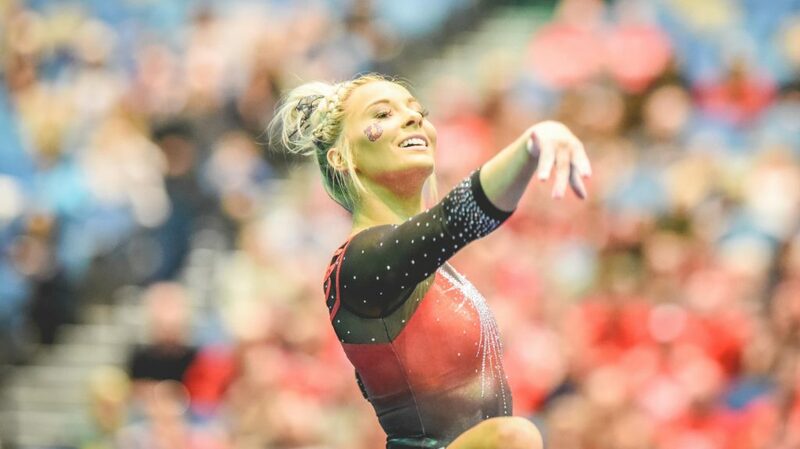 With a similar storyline as last week’s meet, MaKenna Merrell-Giles pushed MyKayla Skinner in the all-around competition, with Missy Reinstadtler in the hunt as well. Ultimately, Skinner was the clear winner with an all-around score of 39.700, which score is tied for the eighth-best in school history. The Red Rocks return to the friendly confines of the Huntsman Center this Friday for a meet against Oregon State starting at 7 p.m. for the first ever Ute Proud gymnastics meet. Here’s hoping the Red Rocks continue to give a packed house something to cheer about, and the Runnin’ Utes follow their lead and do likewise.